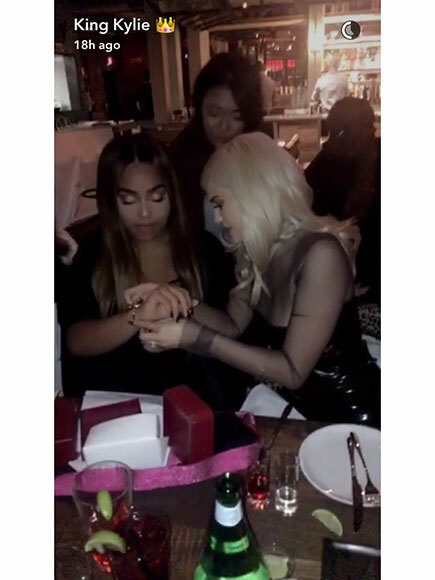 While most of us stick to a $20, maybe $30, budget when buying birthday presents for our close friends, Kylie Jenner just happily shelled out a lot more than $20-30 for her best friend Jordyn Woods’ big day. Last year, on Jordyn’s 18th birthday, Kylie gifted her a brand new black Mercedes Benz. Inevitably, this year Kylie had to think of some other lavish present to gift Jordyn for her 19th birthday. 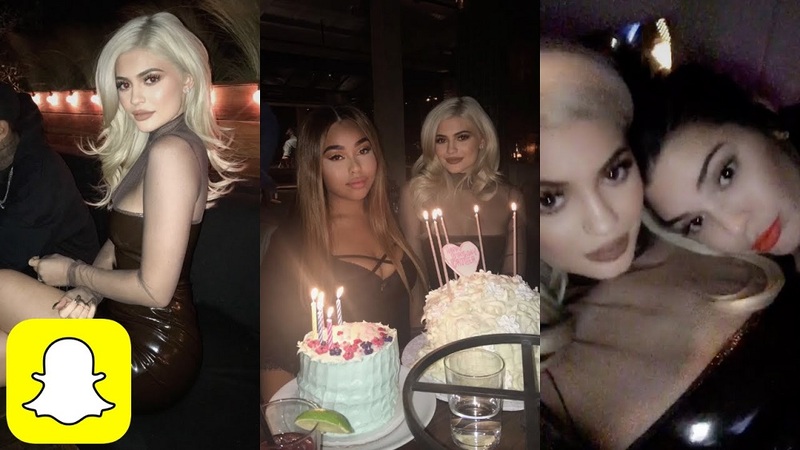 On Thursday night, Kylie, Jordyn, and a few other friends celebrated together at Catch LA. Jordyn was seen blowing out candles on numerous elaborate cakes, as well as opening several presents from her party guests. Kylie gave Jordyn a gift packaged in a very recognizable red box (as the packaging has become synonymous with the luxury jewelry brand Cartier). When Jordyn opened the box, she uncovered a $15,000 diamond Cartier LOVE bracelet. After marveling at her new expensive piece of arm candy, Jordyn allowed Kylie to fasten it around her wrist. While Jordyn’s $15,000 present from Kylie may not be worth as much as the Mercedes Kylie gifted her last year, I am sure she is still plenty happy with this year’s present. About 2 years ago, pop superstar Mariah Carey announced that she had officially signed a residency deal with Caesar’s Palace in Las Vegas. Shortly after her big announcement, she began performing her show “Mariah #1 to Infinity” at Caesar Palace’s concert venue, The Colosseum. 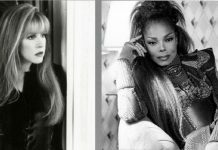 Just a few days after Mariah revealed she would soon be saying goodbye to her gig in Sin City, another famous act announced that they are headed to Vegas for their own residency. On Friday, the infamous boy band The Backstreet Boys revealed that they would be performing regular shows in The AXIS at Planet Hollywood Resort and Casino. 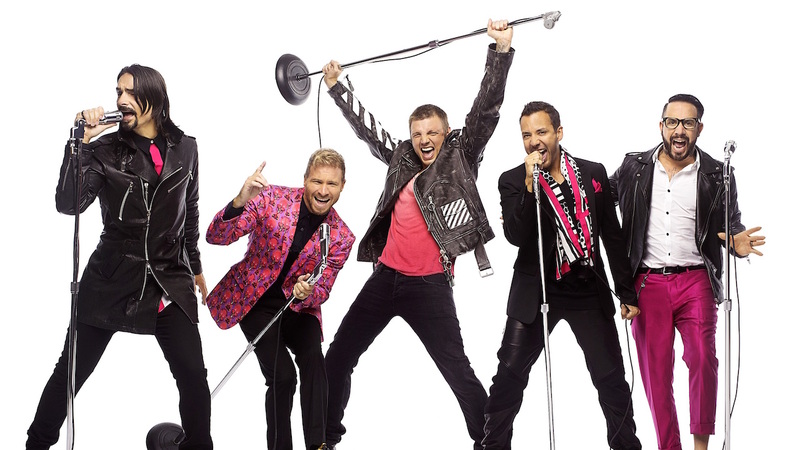 Their show, titled Backstreet Boys: Larger Than Life, will feature all 5 of the band members: Nick Carter, Howie Dorough, Brian Littrell, AJ McLean and Kevin Richardson. The boys will kick off their show, Backstreet Boys: Larger Than Life, on March 1, 2017. Life without Brad Pitt is off to a plush start for Angelina Jolie, who is hiding out with the kids in a $12 million beachfront spread in Malibu. 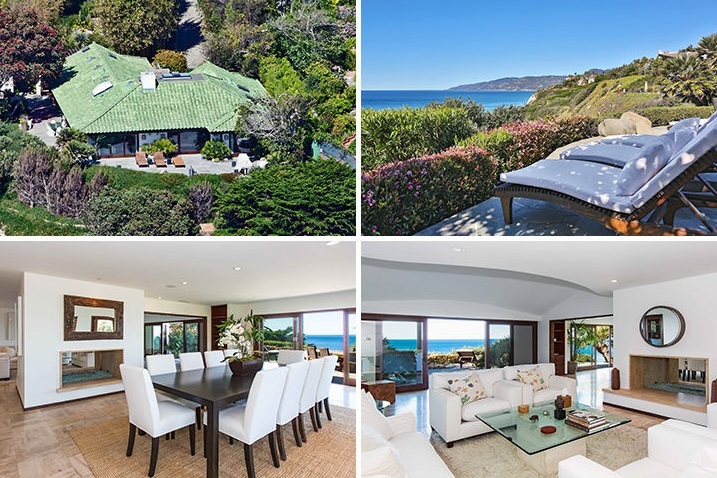 Jolie’s 11-room, 4,409-square-foot rental sits atop a wooded patch of bluff overlooking the Pacific, and goes for as much as $95,000 a month, records show. There are five bedrooms, as well as a media room, a lagoon pool, a gym and “patios with ocean-view dining and entertaining space,” according to online listings. Jolie rented the home three weeks before filing for divorce on Sept. 19, the Daily Mail reported — and has designated one room as a “war room,” in which she and her team can strategize about the divorce and its publicity. Meanwhile, LA-based child-welfare social workers have found no physical evidence of abuse, according to TMZ. The FBI opened a formal investigation after a heated fight broke out between Pitt and the couple’s oldest child, Maddox, 15, during a recent flight home from France. Pitt yelled at but did not strike, the child. Guillaume Canet, the partner of Marion Cotillard — whom Pitt was accused of getting too close to — joined the fray in an Instagram screed Friday. “The fury of the tabloids . . . drive me to speak of the pride, love, respect and admiration I have for Marion staying as strong and intelligent in the face of all these stupid and unfounded accusations,” Canet posted, in French. Even in death, Truman Capote will still make the scene. 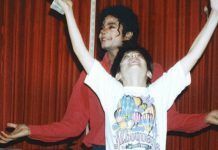 “He didn’t want to be put on a shelf,” said Darren Julien, president and CEO of Julien’s Auctions, which offered the ashes at a special sale of Hollywood memorabilia. 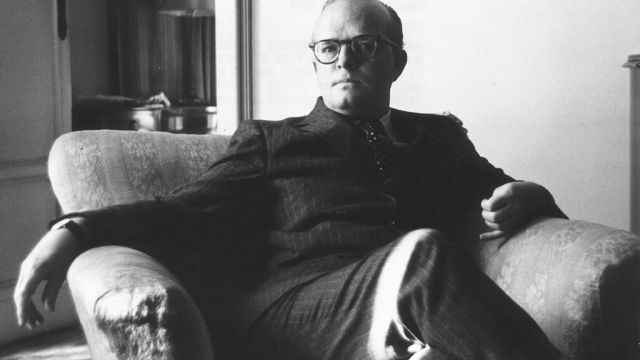 After Capote died in 1984, his ashes — inside a carved wooden box — ended up with Joanne Carson, talk show host Johnny Carson’s ex-wife and a close Capote pal. Mrs. Carson, who died last year at age 83, often stepped out with Capote’s remains. 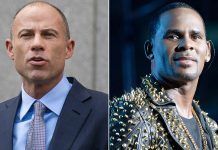 “She would take him to the movies, or a play,” Julien said. Brandi Glanville’s flirtation with online dating is paying off as she’s some getting some sweet Tinder loving. It was reported last year that the romantically challenged reality star had signed on to Tinder, and now we’re told she’s happily dating a single father whom she met through the app. 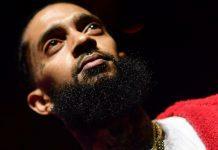 “He’s not in the industry,” said a source — which is likely for the best. 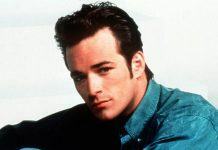 Glanville’s most recent relationship, with fame-chaser Calum Best, and her marriage to actor Eddie Cibrian were both fraught with drama. A rep for Glanville declined to comment. 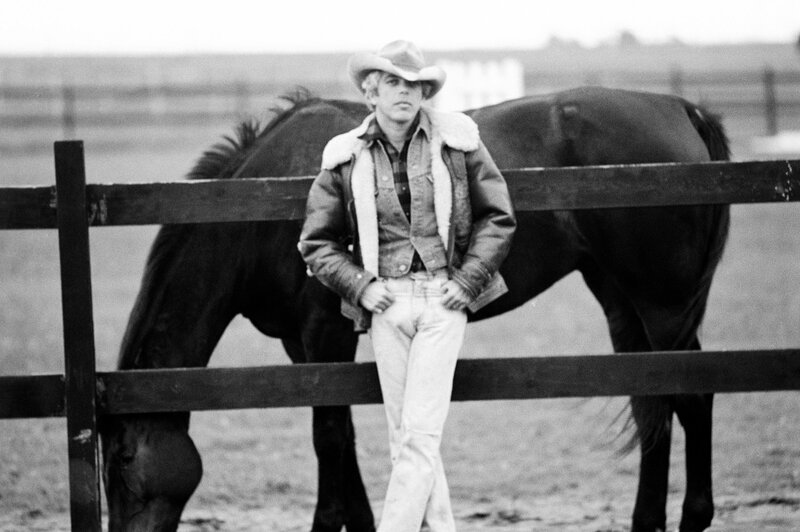 News that Ralph Lauren is writing a tell-all memoir has sent the fashion industry into a frenzy — with insiders wondering how he’ll keep things juicy. Simon & Schuster is set to publish the book in 2017 to coincide with the brand’s 50th anniversary. 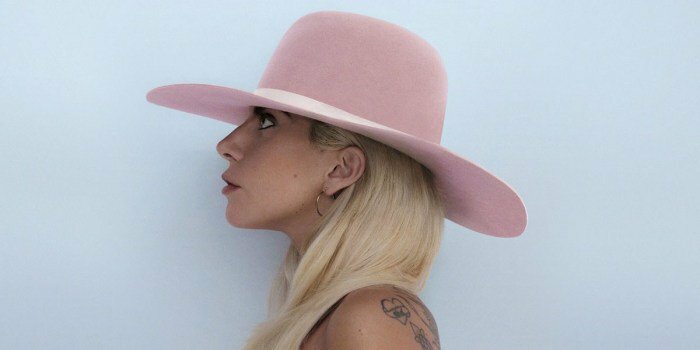 Lady Gaga is introducing “Joanne” to the world. The pop star posted the track list Friday for her forthcoming album online. The image of the album’s blue-and-white art also revealed that a song called “Hey Girl” is a collaboration with singer Florence Welch. The name Joanne is both a middle name of Lady Gaga, whose real name is Stefani Joanne Angelina Germanotta and the first name of her deceased aunt.